The number of books the average person reads yearly has drastically decreased in the recent years. However, some of the most avid readers are CEO’s and educated, affluent women. Maybe reading is a way of ensuring success in life? Why should we read more? We tell children that it is important to read every day. It will help them prepare for their future, we tell them. But, why should we ever stop applying this wisdom? We should read every day no matter what age we are! There are a lot of benefits to reading. Some of the advantages of reading are reduced stress, increased vocabulary, improved analytical and critical thinking, writing skills, and memory. There are many other reasons why reading is healthy for our brains. Even if memory and analytical thinking were the only benefits, we should still pick up a book daily. Regardless, I often find myself going days without opening a book. I need motivation and reminders to read at times. Here are my favorite motivators and inspirations to read more in my daily life. Notice, I have added a bonus tip at the very end, thanks to my sweet hubby. Unlimited doesn’t necessarily give you access to the trendy best-seller books on Amazon, but it still gives you access to a large variety for only $10/month. I use it a lot and have been able to find a lot of top-notch books through this program. Unlimited is an excellent option if you are looking to know more about a topic, but not necessarily searching for any specific book. When I discovered the used bookstore in Kona where I currently live, I immediately cleaned out all the book on my bookshelf and turned them in. At home where just collecting dust and I knew I would never read some of them anyways. I then used the bookstore credit from my old books to buy new (used) books. I try to do this once or twice a year, to force myself to commit to certain books and to get rid of those I won’t read. This system is great if you like book series or are wanting to collect from a certain author. Some years back I worked as a sales representative for a book subscription company. 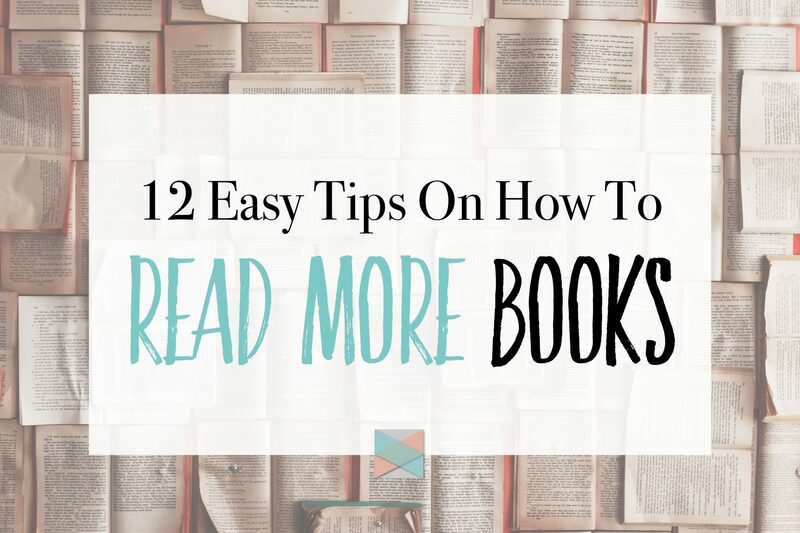 In my experience, it is a great way to ensure a good reading appetite. BookCase.Club is a program that only costs $15/month (this includes shipping). With them, you can sign up for a theme, and you get two handpicked books sent to you. They also have subscriptions for children and teenage books. My grandmother is actually a highly recognized author in Europe, and though she is pushing 80 years, she is still a relentless reader and story lover. Everywhere she drives or travels; she always has an audio book or a new book with her. She loves to share the new gossip from the book club she is in. It amazes me how much more she gets out of the books by discussing them with others. It keeps them all on their toes, and it forces them to read more. Tip: I know there are many book clubs online if you can’t find any local clubs. I know audiobooks don’t count as reading, but listening to audiobooks will keep you hooked on a book. Audiobooks are great for people who have to drive long distances. If you are wanting to up your reading game, listening to an audiobook on your way to and from work can supplement reading when you get home. Amazon now offers many of their books as audiobooks with Audible. This was a game changer for Jeff. He got hooked on a book series that would keep him up to the late hours. However, as I am a light sleeper, it was hard for me to fall asleep with too much light on in the bedroom. He got one of these that is super dainty and got the job done. A good reading light can help you through some of the hurdles late evening readers often run into. Recently I ended up in line at our local civic center for almost two hours! Instead of sitting and looking at social media on my phone I whipped out my Kindle and took out a good chunk of a book I am currently reading. When I left, I didn’t feel like I had been ‘cheated’ out of hours of my life, (which I would have felt if I was just checking Facebook). Next time you go to the DMV, arrive early at the doctor’s office or are waiting for your oil to get changed in your car bring your book and leave your phone. How many evenings do you end up in front of the TV at home? I know some people never have time to watch television, but if your life is anything like mine, you simply want to relax at the end of the day and turn off your mind. I am scared to admit that most evenings, I end up in front of the TV with a dumb mind-numbing show. However, when I get really into a book, TV isn’t even a thought. If I have a good book, I prefer to finish the day edifying myself rather than watching a mediocre show. When I got my Kindle, it changed my life! I am no longer reading books on my little iPhone screen, where the blue light would mess with my sleep. My Kindle is a luxurious upgrade that I can take with me everywhere. I go through books much faster now that I have the Kindle, and I find that I can easily read more than one book at a time. I have a good friend Janet, who reads an hour every day. Her phone reminds her when it’s time to read, and then she reads for an exact amount of time each day. This way, she doesn’t get carried away and forget to do the rest of the things on her daily schedule, but she also stays in the book game and keep her mind sharp. Oh, the old fashion way of getting access to a book. I loved going to the library as a child and still to this day; if I go, I always end up with way too many books. Now, I am one of those people who always forget to return the books in time and end up with a hefty fine. What I have learned to do is to NEVER rely on someone else to return the book for you, (haha) and to set a lot of reminders on my phone. The reminders also help me speed up my reading at the end, because I know I have a deadline to finish the book. Place books in strategic locations in your house that you know that you will be spending time. I know some people have books in their bathroom. I don’t personally have that, as I can’t find a place that is fitting. However, I do have books on my nightstand, my office desk is full of books, and sometimes I leave them around the kitchen. DON’T FEEL OBLIGATED TO FINISH A BOOK IF IT DOESN’T GRAB YOU. I used to feel guilty if I didn’t finish the book that I was reading at the time, and felt like I was “cheating” on it if I started another. Having let go of that mentality makes it so much easier to power through books, and when or if they stop grabbing me I have no quarrel letting it go. Some books start out great and then half way through I feel that I have gotten the point, or that it just doesn’t excite me anylonger. That’s just how it is and I feel no shame about it—actually I read more books because of it. 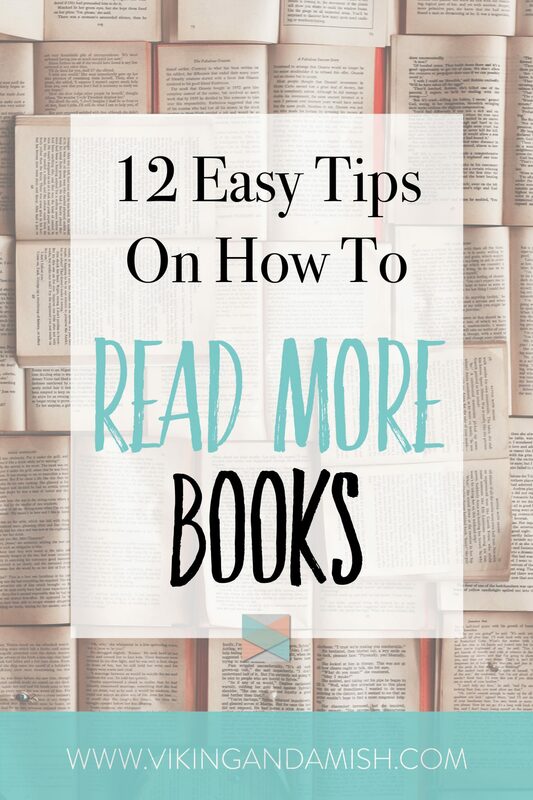 I hope this list has prompted you to read more and given you ideas to do so. Please share your favorite read more tips in the comment section below.